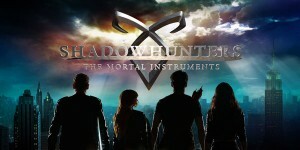 The theme for Season 2 most definitely is “2.0”, because everything we know either has been rebooted continuing from last season’s finale, through a slew of changes that continue right to the end of the Season 2 premiere. Last chance… turn back now before you read anything that might be a spoiler for you. Following from Cameron’s attempt to help the team gather information on who might be targeting them by chemically stopping his heart (killing himself) so Kirsten can stitch in and see his memories just before the attack in the restaurant, he does nearly die, but in addition to not finding the information they needed, Kirsten has changed. Seems that the temporal dysplasia that she acquired as a result of her father stitching into her mother while she was still alive went away as a result of her now stitching into a “not really dead” Cameron, essentially rebooting her brain and allowing her to feel emotions again… something she’s not ready for after having grown up without them. Detective Quincy Fisher is on the mend after being shot, and Maggie is determined to protect her team at all costs, even if it means having to protect them from Les Turner (Oded Fehr), the director of the Stitchers Project… but everyone’s safety becomes an issue once Turner is found murdered in his loft. Believing the team is still in jeopardy, Kirsten is allowed to stitch into Turner’s memories to try to discover who killed him, but because of how he’s trained his brain (he was NSA after all), the information is fragmented and not possible for her to fully discern. The problems truly start when Kirsten uses information from Turner’s memories to unlock a secret level of the lab, and discovers Ed Clarke’s still preserved body in what’s effectively cold storage. Examining his memories prove to be problematic because of how long he’s been dead, but Kirsten’s able to find out that the house was not Ed’s house but her parents’ house, and that whomever killed Turner was also responsible for Ed’s death. And once again, all clues lead to Kirsten’s father, Daniel Stinger. Everyone now knows who killed Ed, the mystery that remains now is why. Plus, the main members of the team get NSA badges and credentials… and all of that was just in the FIRST episode. In the first 5 episodes thus far, we see Camille and Linus come back together again, and we also see both of them stepping up in their personal lives — Linus by moving out of his parent’s house into his own place, and Camille by standing up for herself against her somewhat abusive older brother. We also discover that Camille learning how to fight and defend herself has an ulterior motive… it’s part of her new undercover assignment for Maggie, to keep tabs on Kirsten’s mysterious ex-boyfriend Liam who appears to have settled in Los Angeles, and the new assignment is to find out who he might be working for, whether it be Daniel Stinger or yet another group with designs on the technology from the Stitchers Project. This is necessary information for Maggie, because while she intends to do everything possible to keep the team safe, she’s also been promoted to acting director in Turner’s place, but unlike Turner, will only be overseeing all (?) aspects of the Stitchers Project, and needing to figure out more about her new boss, Mitchell Blair (played with the perfect mix of devious intent and good-natured humor by John Billingsley). Kirsten is also going through a lot of changes: experiencing emotions and trying to adjust to that new development, a new and improved “stitching suit”, and that while she cares for Cameron, she doesn’t want him to wait around for her to figure everything else out. So all the #Camsten fans out there will have to wait, and Cameron’s eye may have fallen on someone new, Nina, a nerdy comic book store girl, who’s definitely coming more and more into the picture. Secrets about Kirsten’s parents, more secrets about the real intent behind the Stitcher technology, multiple factions in play around the program and intent on using Kirsten for themselves… Season 2 is shaping up to be just as charming and as much fun as Season 1, even though it’s setting up to go a lot darker before coming out the other side. 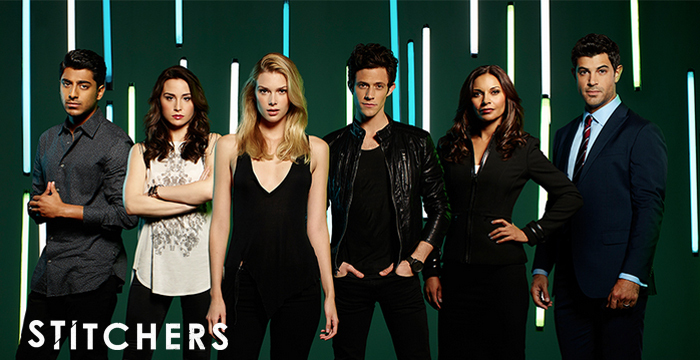 Stitchers airs Tuesdays at 10pm ET/PT on Freeform. You can also typically find the most recent 5 episodes on Hulu.